Mindless Mirth: I Miss You! 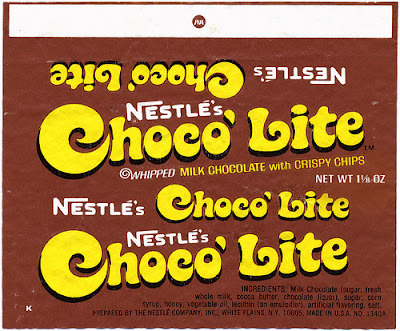 Foods that have been discontinued in my lifetime range from "thick" soft drinks full of strange rubber-like dots to processed potato chips that were FANTASTIC. 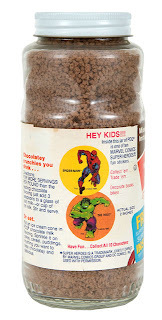 There were even some truly great cereals that I really miss. Here's a list of foods that I was lucky (or unlucky) enough to have actually tasted that are no longer with us. If you know of any other "dead" food products that you remember, please post them in the comments. 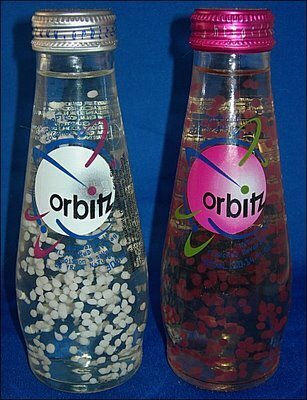 We start off with a drink called Orbitz that was very unique, but must not have sold very well. If I remember correctly, it was VERY sweet, and kind of expensive at the time. 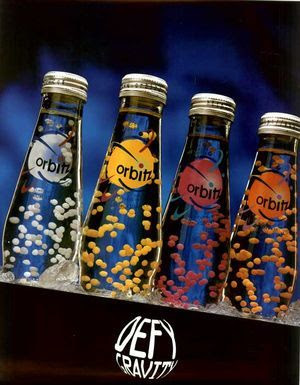 It was however liked enough to have its own fan page found at http://www.fanpop.com/spots/orbitz-drink. They came in some odd flavors too. I remember vanilla orange/pineapple, banana, and cherry/coconut. Another item I recall was PDQ. 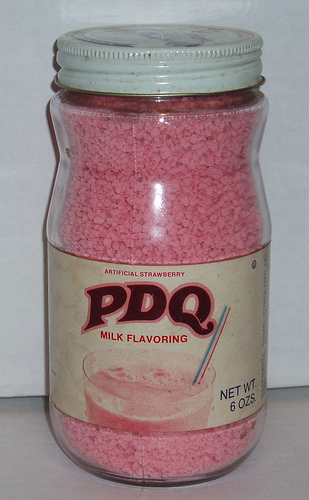 PDQ was a drink mix to be added to milk. It was great to just eat too, especially with ice cream. It wasn't a powder, but pellets. The flavors were Chocolate, Strawberry, and Egg Nog. 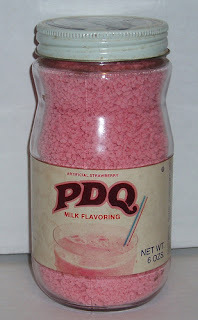 I LOVED the Egg Nog flavored PDQ. PDQ containers also featured interesting facts about particular subjects like endangered animals, cool cars, or super heroes. I'm not sure who actually made this product. Tato Skins were a highly processed potato chip snack that simply RULED! Especially the cheddar bacon flavored ones. These gems were actually produced by Keebler for a while, but were originally made by Wabash Foods in Bluffton, Indiana. Here's an old commercial... I can remember that jingle like it I heard it yesterday! Next up, Choco-Lite Bars by Nestle. OMG were these fantastic! 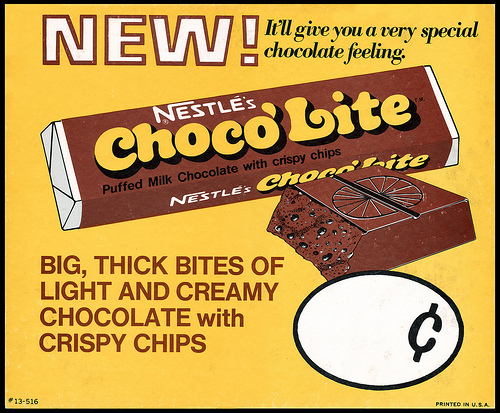 Choco-Lite Bars were a thick, chocolate bar from the mid to late '70s that had air introduced into it when it was formed. It resulted in a "swiss-cheese" effect inside the bar. I guess they thought it should be called "lite" since, because of all the little holes, there wasn't really as much chocolate there as it appeared to be. Another great candy bar was the Marathon Bar. A braided bar of chocolate covered caramel, it was a long lasting candy addict's dream. These were discontinued in the early 80's, but since we're on the subject of candy, I wonder what ever happened to SunSations? These little sweet-tart shaped candies were FANTASTIC, like a cross between PEZ and Candy Necklace flavors. 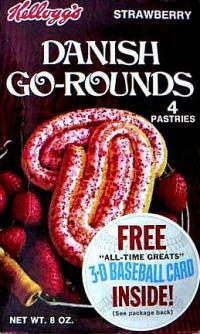 Another great breakfast was provided by Kellogg's Danish Go Rounds Sort of like a frosted pop tart, these fruit filled pastries had a tube swirled around, making a spiral. They came in different flavors. I remember blueberry, and strawberry. Although I'm now a pescetarian, I used to eat burgers... a lot of them. 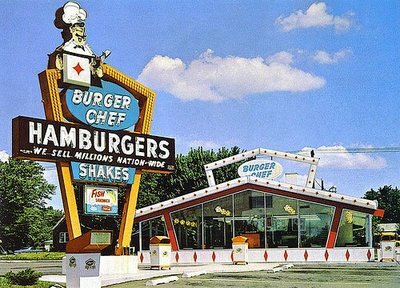 None were better than Burger Chef and I must say that if they ever came back, I might be tempted to eat another burger. Just one, for old times sake. If you can remember any forgotten foods that you LOVED, and now miss, PLEASE leave a comment about it! Did you guys have Pop Rocks? Yes, Andy, Pop Rocks were around as far back as the 80's. I think they still are. At least around here they still are. There was a rumor that Mikey from the Life Cereal commercial died when he ate Pop Rocks and drank a carbonated beverage. His stomach was reported to have exploded. Of course, we all believed and spread the rumor. I loved Burger Chef!! Miss that and the Marathon bar!! Hi Goldstud...Maypo is still around! I eat it for breakfast sometimes! So are Zero bars. I HATED Crystal Pepsi, Every hear of "Orange Quangaroos" Cereal?... Look it up, it was the BOMB!